The first edition of Selvedge Run as part of the Panorama Berlin GmbH family concluded Thursday with a new level of momentum. 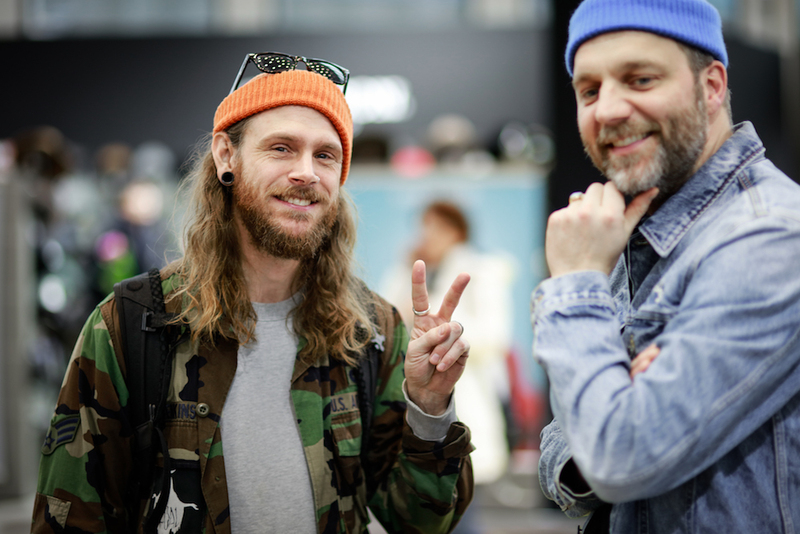 Along with a robust base of German attendees, the show reported the presence of international buyers from specialty stores, including VMC from Zurich, Berkeley Supply from Denver, Colo., Standard & Strange from Oakland, Calif., Denim Heads from Prague, Rivet & Hide from London and Pronto from Thailand. Selvedge Run was held in conjunction with the trend-driven Panorama Berlin trade show, which acquired the denim event in September. With music, food and high-quality furnishing, Selvedge Run’s new south entrance hall location proved to be an “atmospherically perfect location with a coolness factor,” according to organizers. The show also benefited from Panorama Berlin’s spike in visitors, with a 20 percent year-over-year increase in attendance on its first day. “We conclude with a clear increase in visitors to the last edition and draw a clearly positive balance in terms of the new location in the entrance hall south and the merger with the Panorama Berlin,” said Shane Brandenburg, founding member and product manager of Selvedge Run. Exhibitors were pleased with the new format and traffic. “We are very satisfied with the frequency,” said Jasper Knoop, Kings of Indigo international sales manager. “We have some new customers and met our existing customers.” A representative from Schott NYC added that the show lived up to the brand’s expectations for quality customers. The next edition of Selvedge Run will take place in Berlin July 2-4. “We will further refine the concept and have already developed some good ideas,” Brandenburg said.